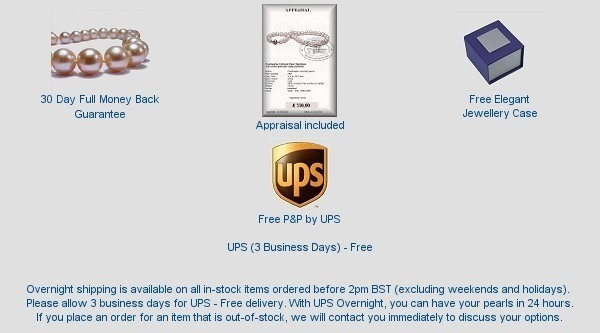 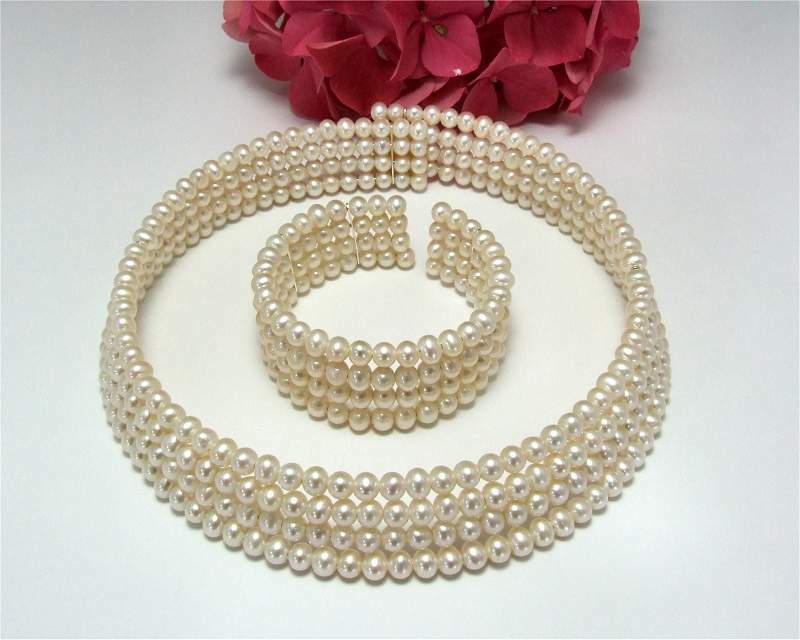 Freshwater Cultured Pearls at SelecTraders: Our stylish Choker 4-strand pearl set consists of a Choker (18 inch length) and a matching bangle (8 inch). 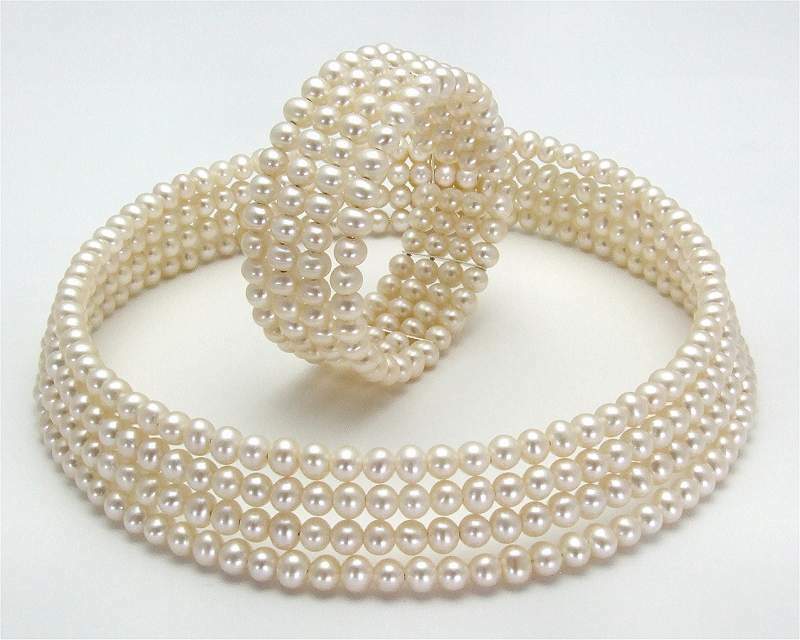 Over 400 white freshwater pearls in a size of 5.0 - 6.0 mm were used for the manufacturing of this pearl jewellery. 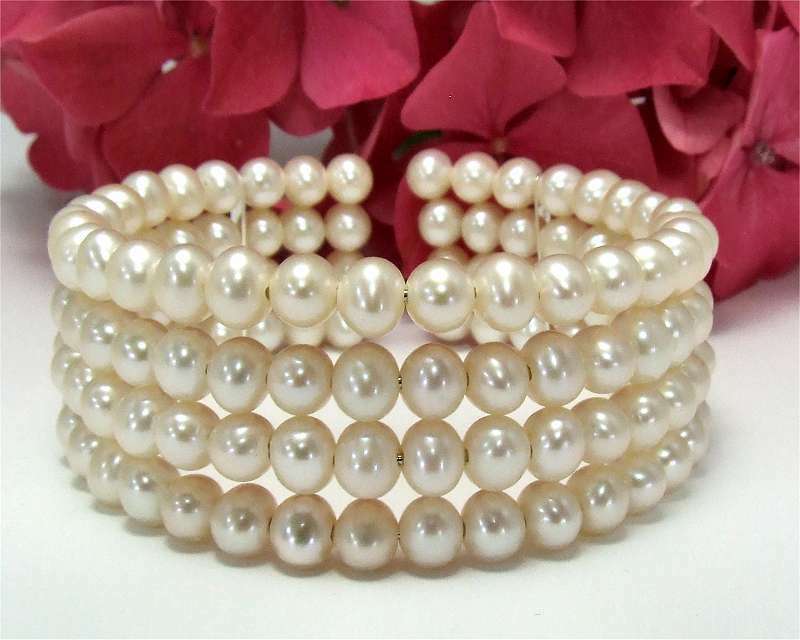 The freshwater cultured pearls are separated by 925er Silver spacers.